Baltimore is the largest city in the state of Maryland and the 29th most populous city in the country. It also boasts of being the largest independent city in United States of America. It is rich in culture and is often called the “city of neighborhoods”. The economy consists of mostly service class people that are specialists in their field, and thus are welcome to new ideas, policies and methods. It is also a major tourist spot in the country. CSD course in Baltimore is a five day course out of which, in the first two days, the basics of the course are covered, which includes making the participants aware of the scrum framework, roles and functions and how to work in the scrum environment. In the last 3 days, the CSD training in Baltimore, is given to the participants in a way where they are taught how to deal with real life scrum problems. KnowledgeHut provides its participants with the best lectures, workshops and study material. An icing on the cake is that the academy charges a very nominal fee for the Certified Scrum Developer certification in Baltimore. The institute also gives its participants the option to either choose the classroom training or online training. 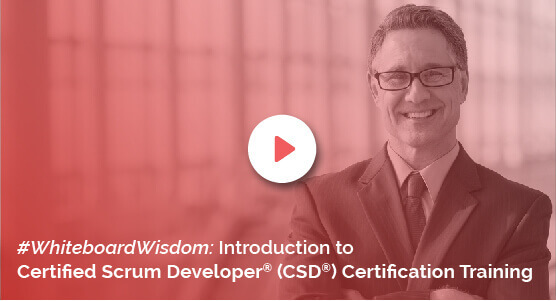 With the increase in demand for agile management, it has largely been observed that the demand for a Certified Scrum Developer has also risen. This is why CSD certification in Baltimore has taken center stage due to the increasing demand. KnowledgeHut, a premier coaching institute takes full responsibility of tutoring the Certified Scrum Developer training in Baltimore. Become a full time Certified Scrum Developer using the best KnowledgeHut has to offer.